The terms and conditions set out below detail the rights and obligations of the business incubator of the Pépinière de la Roche Saint Louis Siret No 82300044300015 and its customers as part of the plant sale. All services performed by the company Pépinière de la Roche Saint Louis implies unconditional acceptance of the buyer to these Terms and Conditions. The characteristics of the products offered for sale are presented in the catalog of our website. The photographs are not included in the contract. The responsibility of society Pépinière de la Roche Saint Louis can not be taken if errors were introduced there. All text and images presented on the company website Pépinière de la Roche Saint Louis are reserved for worldwide under copyright and intellectual property; their reproduction, even partial, is strictly prohibited. The products are offered for sale while stocks last. When ordering a product becomes unavailable, the customer will be informed of this as soon as possible by email or by post. Replacement, a timeout, a credit or refund will be offered. The catalog of our website indicates the price in euros including, without Shipping tax. The VAT amount is specified in the selection of a product by the customer and the shipping cost will appear on the screen at end of the selection of different products by the customer. The company Pépinière de la Roche Saint Louis reserves the right to change prices at any time but the products ordered are charged at prevailing prices at the time of the order. The proposed rates include discounts and rebates that the company Pépinière de la Roche Saint Louis would have to be granted in view of the results or the assumption by the purchaser of certain benefits. No discount will be given for early payment. The customer confirms his order when the link "Confirm Order" at the bottom of the "Summary of your order" page after you accept these terms of sale. Prior to validation, it is routinely offered the customer to check each element of his order; he can correct his errors. The company Pépinière de la Roche Saint Louis confirms the order by e-mail; including this information covers all elements of the order and the right of withdrawal of the customer. The data recorded by the company Pépinière de la Roche Saint Louis is proof of the nature, content and date of the order. This is archived by the company Pépinière de la Roche Saint Louis in the conditions and legal deadlines; the client can access this filing by contacting the Customer Relations. The settlement orders by check, credit card, bank transfer, it is also possible to pay in cash as part of a collection of goods directly to the nursery or fair / exhibition or we operate. Upon receipt of an order, the buyer will have to pay the full amount of the invoice through payment by credit card. For other means of payment the buyer shall have 3 days to submit its rules, the goods will be shipped after receipt and confirmation of payment. In case of failure to pay all or part of the goods delivered on the day of receipt, the buyer must pay the firm Pépinière de la Roche Saint Louis a late fee equal to one and a half times the rate of the legal interest. The legal rate of interest used is that in effect at the date of delivery of goods. This penalty is calculated on the amount of duty remaining amount due, and runs from the due date of the price without any prior notice being required. In accordance with Articles 441-6 c. com. 441-5 and D. c. com., any late payment causes of right, in addition to late fees, an obligation of the debtor to pay a lump sum of € 40 for collection costs. Additional compensation will be claimed on vouchers, if the cost of collection incurred exceed the amount of liquidated damages. Every product comes with no guarantee as to the delay. The deadline for delivery varies depending on their address. It is set to an address in France, the date of payment + 8 days for other destinations, the date of payment + 1 month. For any information, question or complaint, the customer can go from Monday to Friday, 9 am to 18 am at the service of society Pépinière de la Roche Saint Louis - Service Client, 7 les trois mineaux 44680 Sainte Pazanne phone: +33 (0) 2 28 27 68 08. The customer has 14 days from delivery to return the product, the cost of return is dependent. 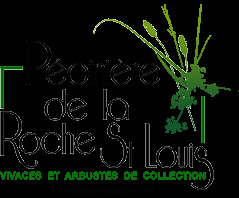 It is then refunded the price of the product in the month of receipt thereof by le Jardin de la Roche Saint Louis. However, products returned incomplete, damaged or dirty are not included.